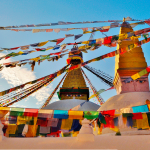 Visit the natural wonderland of Nepal to be immersed in the natural and extravaganza. Explore the breathtaking Nepalese Lake City of Pokhara and floral and fungal diversity (including the One-horned rhinoceros) in the dense jungles of Chitwan. 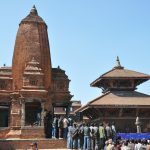 Symbols of medieval architectural excellence (Bhaktapur Durbar Square), the holy Hindu pilgrimage (Pashupatinath) and Buddhist shrine (Boudhanath) in the Kathmandu Valley, Nepal. Package holidays to india golden triangle is one of the best Tours in South Asia . It is a perfect blend of art, culture, and nature. We will be the visiting center of Indian culture like Delhi, Jaipur and also visit masterpiece of Mughal empire and best among the world’s wonder “Taj Mahal”. Just after the tour to incredible India, we will visit Nepal. 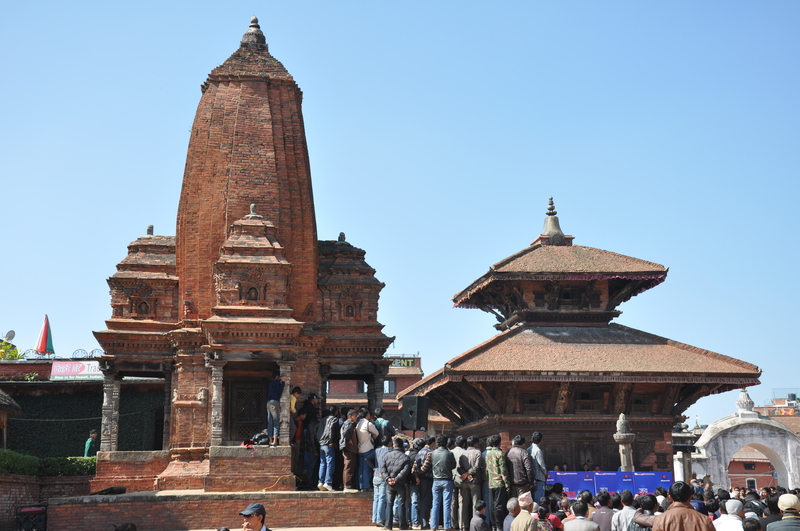 Then we will visit most of the Touristic destination like Kathmandu, Pokhara, and Chitwan. Kathmandu is famous for art, crafts and the culture whereas Pokhara offers the natural beauty of famous Annapurna range and fewa lake. Chitwan offers wide varieties of flora and fauna. Day 09 : Drive Pokhara-Chitwan National Park. Arrive in Delhi, India’s bustling capital city. You will be greeted with a traditional Indian welcome and escorted to the hotel. New Delhi reflects the legacy left behind by the British. The division between New and Old Delhi is the segregation between the capitals of the British and Mughals. 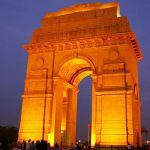 Tour Old and New Delhi includes the exquisite audience halls, marble domes and slender minarets of the Jama Masjid, Mahatma Gandhi Memorial at Raj Ghat, Ashoka Pillar and the famous Chandani Chowk Bazaars, once the royal Mughal shopping arcade. Drive along Rajpath to photograph the Parliament House, President’s Palace and India Gate, a memorial to India’s soldiers. Tour Gurdwara Bangla Sahib, one of the most popular places of worship for Sikhs built at the site of a house where Guru Harkishen Dev, eighth guru, stayed when visiting Delhi. Continue to Humayun’s Tomb, one of the most spectacular Mughal buildings. The mausoleum is known as the precursor to the Taj Mahal. Proceed to Qutab Minar and ruins of the Hindu temples destroyed during the Qutabshahi period. Morning drive to capital and largest city of the Indian state of Rajasthan in Northern India, owing its name, foundations and careful planning, to the great warrior Maharaja Sawai Jai Singh II. Founded in 1727, the city today has a population of 3.1 million. Jaipur is known as the Pink City of India. Visit the ancient capital of Amber, ascending the Palace Fortress on a gaily-caparisoned elephant. Tour the intricate chambers and hallways of the palace. En route to Amber, photograph the Hawa Mahal (Palace of the Winds), built in 1799 AD. After breakfast, travel overland to Agra via Fatehpur Sikri. Built during the second half of the 16th century by the Emperor Akbar, Fatehpur Sikri (the City of Victory) was the capital of the Mughal Empire for only some 10 years. The complex of monuments and temples, all in a uniform architectural style, includes one of the largest mosques in India, the Jama Masjid. 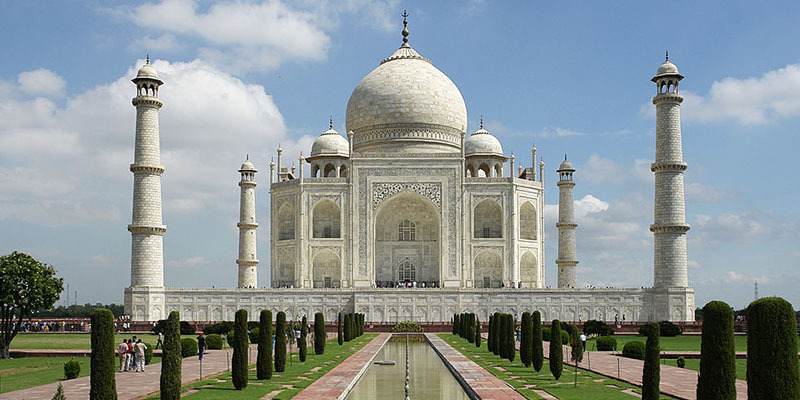 The Taj Mahal, “crown of palaces” is a white marble mausoleum located in Agra. It was built by Mughal emperor Shah Jahan in memory of his third wife, Mumtaz Mahal. The Taj Mahal is widely recognized as “the jewel of Muslim art in India and one of the universally admired masterpieces of the world’s heritage”. 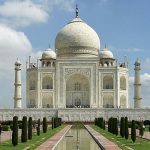 Taj Mahal is regarded by many as the finest example of Mughal architecture, a style that combines elements from Islamic, Persian, Ottoman Turkish and Indian architectural styles. Morning visit Agra fort then drive to Delhi airport to connect to flight Kathmandu. 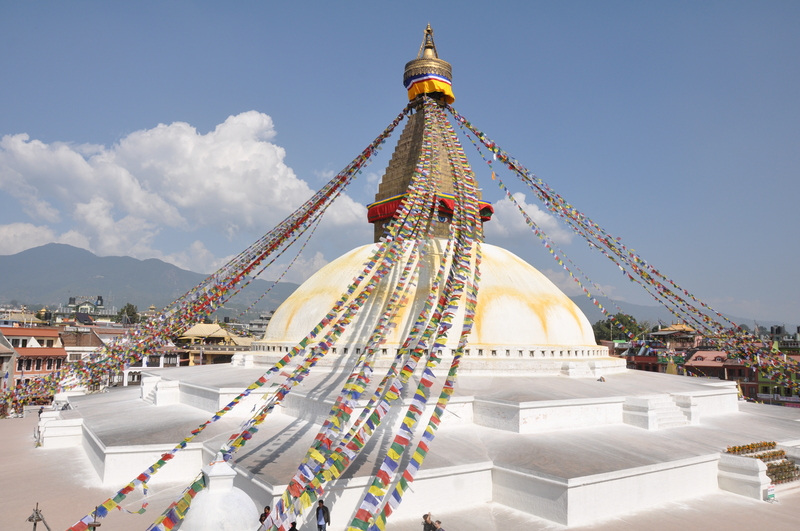 Arrive Kathmandu and Half day Tour of Swayambhuanth & Kathmandu City. 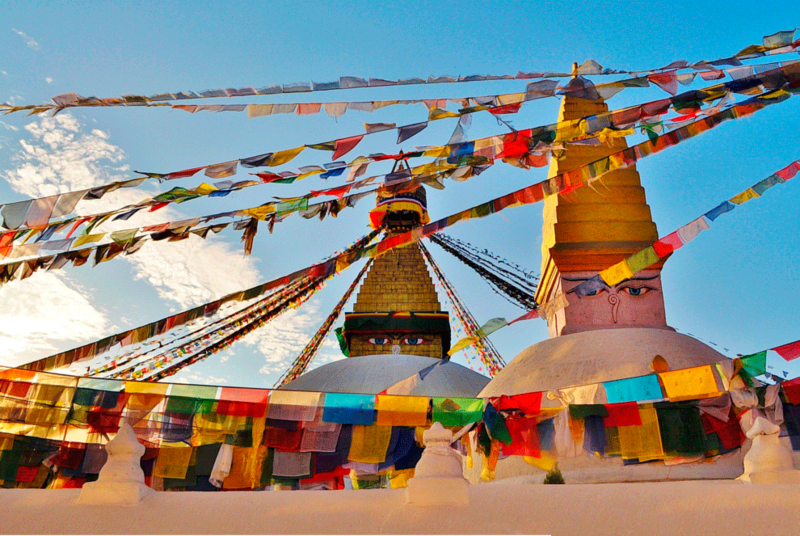 The Swayambhunath Stupa is one of the holiest Buddhist sites in Nepal and is situated at the mound. 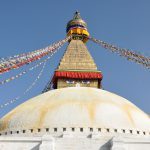 From this Stupa you can closely look at the settlement pattern in Kathmandu and have a close look at the Chaityas and Monasteries which circles the main stupa of Swayambhunath. 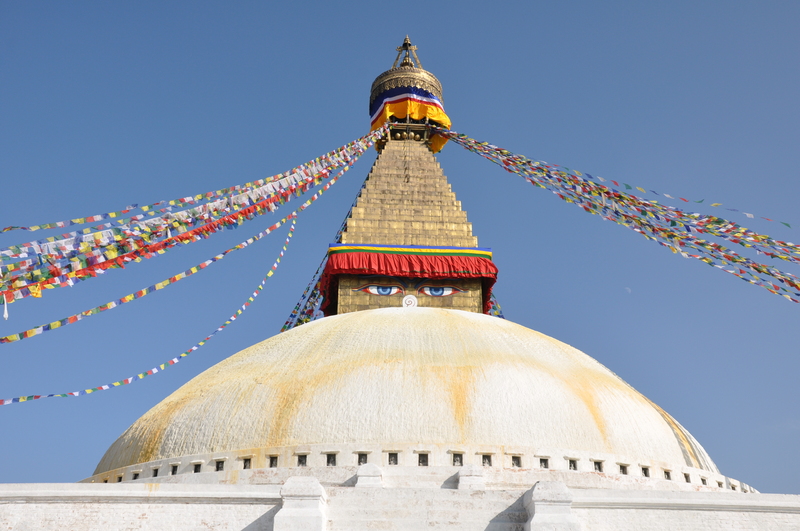 This stupa also relates itself to the history of creation of Kathmandu Valley as how Manjushree, a Buddhist monk, saw a huge lotus emanating bright light at the centre of the lake. So he cut a deep gorge allowing the water to drain from the lake because he wanted to observe and worship the lotus where it is said that Swayambhunath is situated. 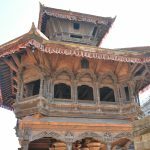 Kathmandu Durbar Square welcomes you to the palaces, courtyards and temples built between 12th to 18th centuries where the then Kings used to live and the coronations of Shaha dynasty Kings used to take place. You might be amazed with the number of temples and architectural styles that you see in this courtyard. Moreover, you might also get the glimpse of Kumari, a living goddess, whose residence is within this courtyard. Kumari, Virgin Goddess, must be chosen from a Newar community, inhabitants of Kathmandu, with no body marks & injuries who will be replaced by another Kumari after puberty. After breakfast drive to Pokhara. A very scenic drive lasts for about 6 hrs through the beautiful riverbanks & gorges. Free to relax at Hotel or walk around the lake fewa and lakeside market leisurely to explore at own. Early Morning Visit to Sarangkot, 45 minute drive uphill from Pokhara city will take you to a excellent sunrise and mountain view point ( if weather permitted ). We will spend about an hour in Sarangkot to enjoy beautiful sunrise view and the changing color of the Annapurna range and Fishtail with the effect of sunrise. Drive back to Hotel for Lunch. Today will visit Seti george, Davis fall, Gupteshower cave, Fewa Lake & Bindubasini temple. Known as the city of lakes and the starting point for trekking destination and the second largest city of Nepal is Pokhara. The Barahi temple in the middle of the big lake is the most fascinating landmark in Pokhara and the reflection of snow capped mountain in the lake is so serene and magnificent that you will remember it for your entire life. With the closer view of Annapurna range and Mt. Fish tail you will feel close to nature and mysticism. We will also visit to Davis fall a unique water fall with Gupteshower cave and the Bindubasini temple a holiest temple among the temples in Pokhara. Late Afternoon:- Free for optional activities in Pokhara, Plenty of optional program are available in Pokhara like paragliding, ultralight, zip-flyer, Bungy jumping, mountain biking etc..
After finishing the breakfast we will be enjoying the boat ride in Phewa lake looking at the spectacular view of Mt. 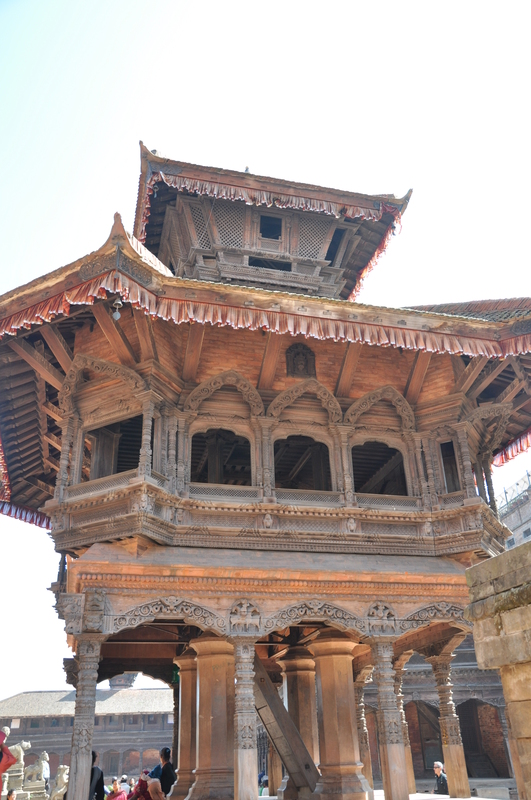 Fishtail and visit Barahi temple in the middle of the lake. After boating we will be driving to Chitwan which takes 5 hours drive where Jungle Safari and canoeing will be waiting for us. You will be up close and personal with the nature where you will get the chance to walk in the jungle, ride an elephant, canoeing and visiting the village. This day will be full of Excitement where you will not only be close to the nature but also get to be acquainted with Tharu culture, indigenous people of western Nepal. If you will get to see the various types of animals like deer, rare one horned Rhinoceros and if you are lucky enough then you might get opportunity to see Royal Bengal Tigers along with a great variety of flora and fauna. At dawn we will set for Jungle walk and bird watching which takes you to the journey of natural beauty and wildlife. After breakfast we will be driving to Kathmandu for 6 hours through the beautiful valleys, alleys, hills and river bank and have lunch on the way to Kathmandu. 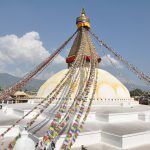 Boudhanath Stupa not only takes you to the journey to the ancient and world’s biggest Stupa or to Buddhist Pilgrimage sites but also exposes you to the Tibetan communities within Nepal. Along with monasteries and devotees chanting religious hymns and playing prayer wheels you will also get to be close with the young boys and girls devoted to be Buddhist Monk which gives you a different perspective about life.